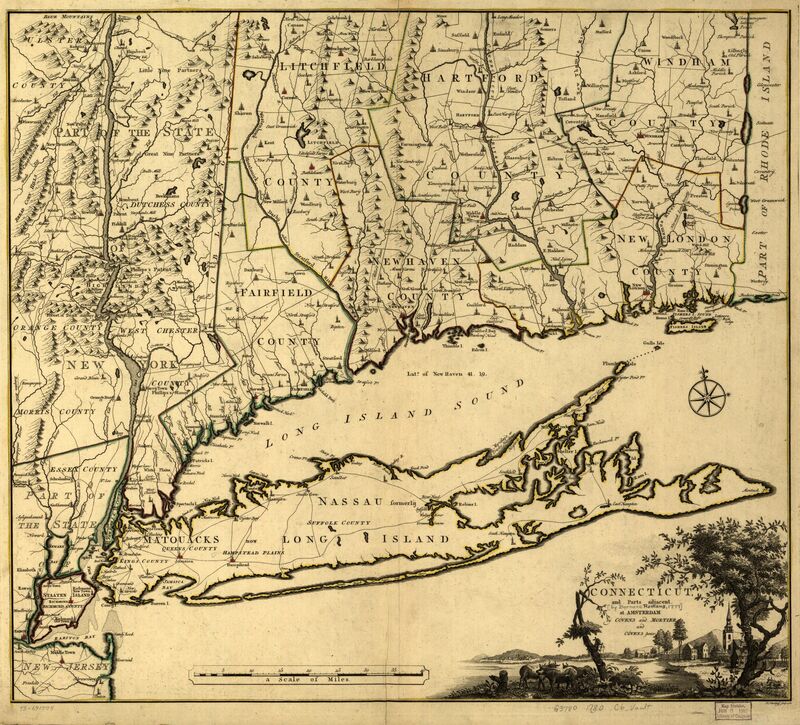 The morning of August 22nd, 1777 dawned hot and humid over Long Island Sound. Through the early mist, vigilant sentries would have seen a small flotilla of different sized vessels approaching the area of Crane’s Neck, a jut of land northwest of the town of Setauket. In those vessels, sloops, whaleboats and other small craft, those same sentries would have espied scores of red coats, coming to surprise the garrison of Americans in the town. …Except the men in red were Continental Army troops, men of Colonel Samuel B. Webb’s Additional Continental Regiment, fighting for George Washington – and the Americans garrisoning Setauket, dressed in green, were loyalists in Brigadier General Oliver DeLancey’s 3rd Battalion, fighting for King George. Huh? Reenactors dressed in the documented green and white uniforms worn by DeLancey’s Brigade. 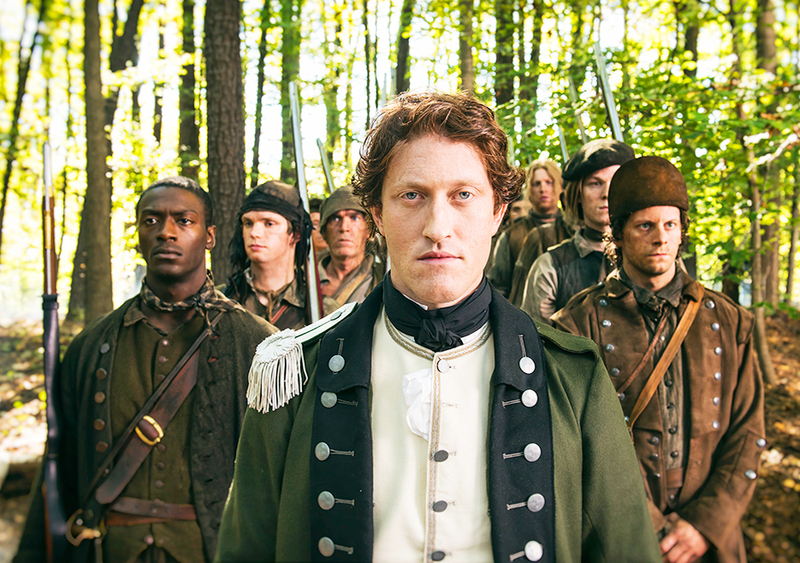 When we last left our friends at TURN during the Season 1 finale, the British were holed up in a church in Setauket, Continental troops were trying to dislodge them, and the psychotically evil Simcoe was blowing some poor sod’s brains out. This was their version of the Battle of Setauket, a real event which took place on 22 August 1777. Like most things in the show, however, what is seen on the screen is not exactly as it was in 1777. The origins of what would become known as the Battle of Setauket started nearly a week before, when Major General Israel Putnam, commanding officer of the Continental troops guarding the Hudson Highlands, sent orders to Brigadier General Samuel Holden Parsons to gather up 400-500 Continentals from the troops under his command at Fairfield, Connecticut, joined to whatever number of Connecticut Militia he found necessary, as well as artillery, and “deplete and destroy” all parties of the enemy at Huntington and Setauket, Long Island. Besides the enemy, Parsons was to bring off or destroy all “military stores, magazines, provisions, forage or naval stores” found on Long Island. Finally, if all went swimmingly, he was to release all the U.S. officers held as prisoners on the island – which would have been no small task to accomplish, given that they were actually dozens of miles away in Brooklyn and Queens. Parsons in turn placed the Continental troops, drawn from the Connecticut Line, under the command of Colonel Samuel B. Webb. Webb himself commanded one of the sixteen “additional regiments” of the Continental Army, so-called because they were over and above the quotas of regiments raised in specific states. 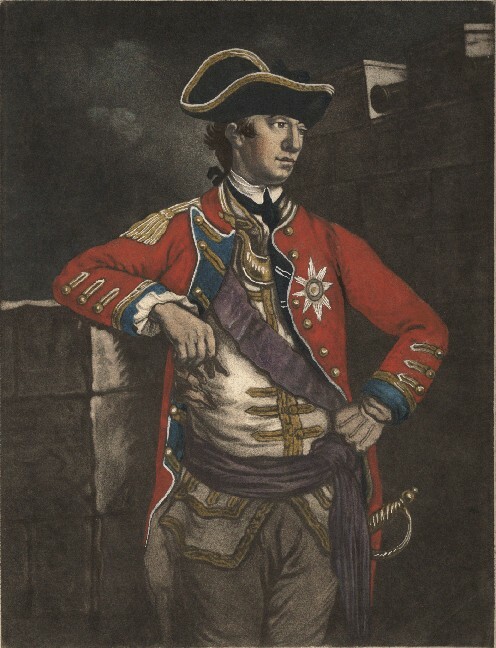 Webb’s regiment would have certainly confused the majority of TURN viewers, because they were clothed in red coats with yellow facings – actual British uniforms captured en route to Canada. 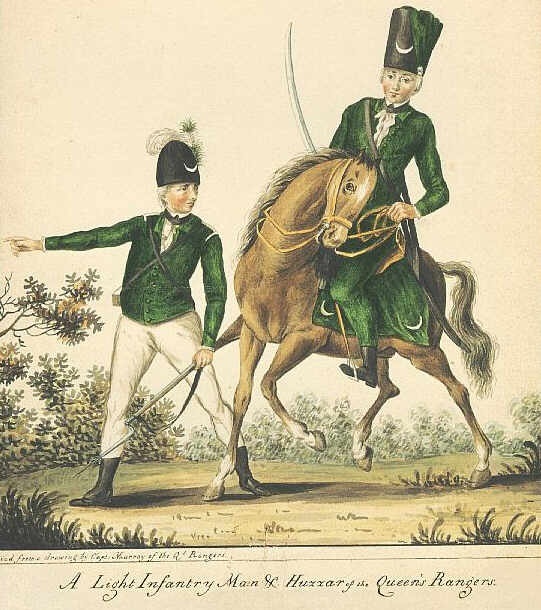 And given they would be fighting against green-coated Loyalists (as opposed to the red coated British depicted in the show), there is no doubt viewers without a deep knowledge of period military material culture would have been left scratching their heads trying to figure out what the hell was going on. One of the “militiamen” that may have been mingling amongst the gathering expedition in Fairfield was a short twenty-one year old with a contracted hand and crooked finger named Stephen Pangburn. With a musket and bayonet, and wearing a brown coat and other civilian clothes, Pangburn would have looked like any other militiaman, except he was in fact a soldier in the 3rd Battalion, DeLancey’s Brigade. Pangburn was not a spy, but rather an escaped prisoner of war, captured in a raid on Sag Harbor the previous May. 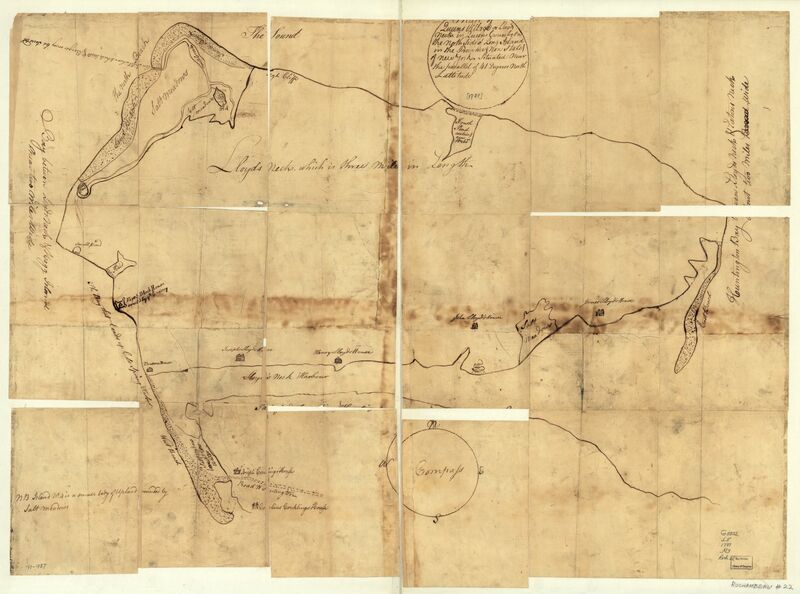 Lodged in a private home in Suffield, CT to assist with labor, Pangburn escaped with the arms of the house on 10 August 1777 and apparently traveled the 75 or so miles south to Fairfield, where he would have seen all the preparations for the expedition. 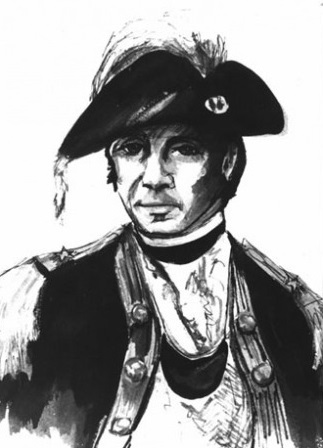 Stealing a boat or perhaps hitching a ride with a Loyalist heading to Long Island, Pangburn returned to Setauket – and his battalion – on August 20th and no doubt gave complete intelligence of what was headed their way. Parsons’ element of surprise was gone. While the strategic surprise was gone, the actual timing was still unknown, so when Parsons’ troops landed on Crane’s Neck, Lieutenant Colonel Richard Hewlett and his men belonging to DeLancey’s Brigade were not entirely ready to receive them. To be sure, Hewlett had taken great pains to fortify himself as best he could. The Presbyterian Church in town was indeed fortified as seen in the show – but not with gravestones. The church had an earthen breastwork thrown around it, six feet high by six feet wide and thirty feet from the building itself, in which were mounted four swivel guns – very light artillery pieces meant for short range work. The church and the earthworks would safely accommodate Hewlett and his green-coated garrison. Where Hewlett fell short was in removing his sick men from town. It must have been a chaotic scene, with the ill and injured making their way, running, stumbling, limping to the church while under fire, and some of the town’s residents pointing out their whereabouts to the invaders. When all of Parsons’ troops assembled – 749 by one count, including Caleb Brewster – the general sent a summons to Colonel Hewlett, demanding the post be surrendered “to prevent the effusion of human blood.” The Loyalist officer, who had previously sent word of the invasion to his commander Brigadier General Oliver DeLancey at Huntington, sought to play for time to allow reinforcements to arrive. Hewlett sent his compliment to Parsons, and requested thirty minutes to consult with his officers on the matter. Parsons granted but ten minutes, when he received the reply that Hewlett “is determined to defend his post while he has a man left.” The battle was on. 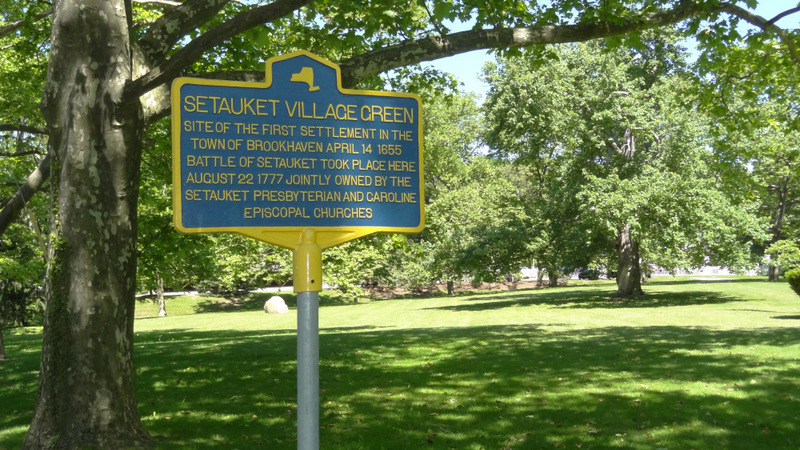 A photo of the blue historical marker on the present-day Setauket Green. After all of three hours in the town, the firing ceased. No drama was forthcoming. Both sides were probably uncomfortably hot and tired. What was envisioned by Israel Putnam as a dramatic sweep through Suffolk County was over after it had barely begun. Parsons embarked and returned to Connecticut with his trophies: some blankets and the horses of Lieutenant Colonel Hewlett and his officers. The reinforcements sent to Hewlett’s relief, some men from the 1st Battalion DeLancey’s and Queens County Militia, never even made it to town before Parsons was safely sailing back across the Sound. It should be noted that, purely by coincidence, there ended up being three major attacks on the British around New York City that day, all completely coincidental and entirely uncoordinated. That fact of course was not known by the British. Some of Hewlett’s compatriots in the 2nd Battalion of DeLancey’s were engaged in fierce though small fight at Valentine’s Hill, north of Kingsbridge, who likewise drove off their attackers. 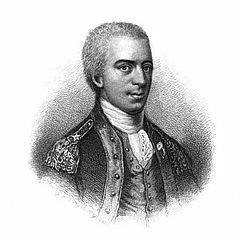 Most seriously, two thousand Continentals under Major General John Sullivan landed on Staten Island, capturing about 130 Loyalist New Jersey Volunteers, but losing over 270 badly needed troops intended to reinforce Washington in Pennsylvania. 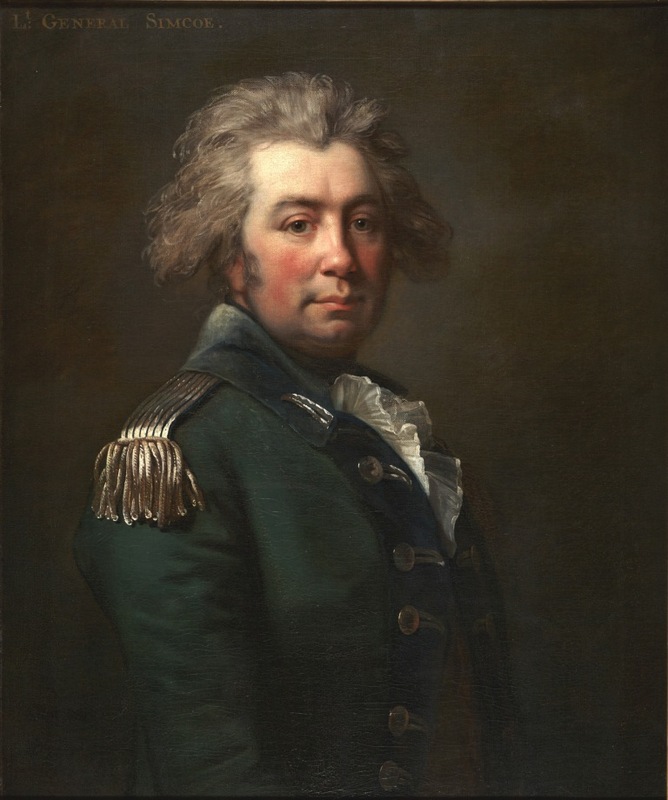 And speaking of Pennsylvania… At the time of the Battle of Setauket, Captain John Graves Simcoe of the 40th Regiment of Foot was at that moment on board a transport ship with the rest of Sir William Howe’s Army nearing the Head of Elk, Maryland. It is not believe the captain arbitrarily executed any civilians on board during the voyage. This entry was posted in Guest posts, Loyalists, Military History, Uncategorized and tagged Battle of Setauket, Caleb Brewster, frederick mackenzie, israel putnam, John Graves Simcoe, loyalists, military history, new york history, revolutionary war battles, richard hewlett, S1E10, samuel parsons, samuel webb, setauket, TURN, TURN: Washington's Spies, turnamc, washington's spies. 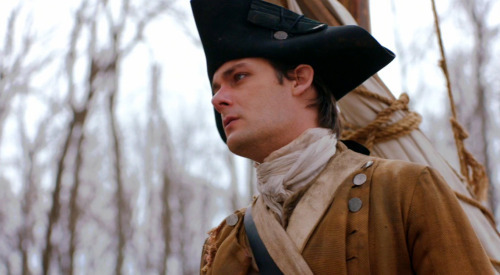 When last we saw TURN’s Captain Simcoe and Abraham Woodhull (a.k.a. Jamie Bell and Samuel Roukin), they were facing off with pistols against each other over the fair Anna Strong (Heather Lind.) 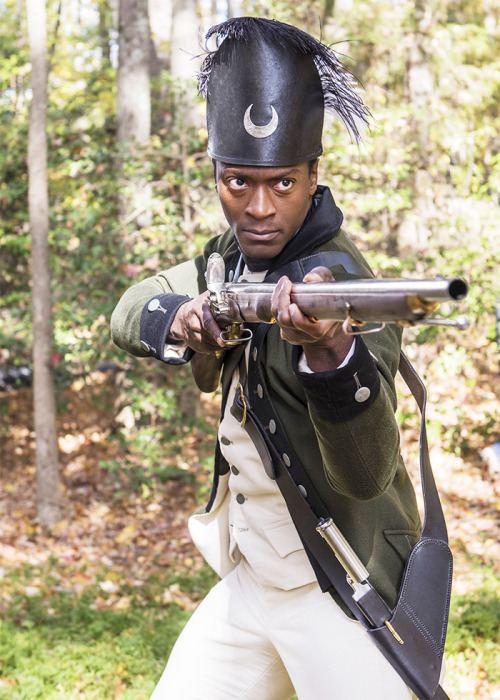 While the real Simcoe never dueled anyone (that we know of, anyway), duels, while perhaps not everyday affairs, were frequent enough during the Revolutionary War to be deadly to more than a few participants. And while duels were officially outlawed by both armies, the nuances of honor in the late 18th century virtually demanded that they take place. An engraving of James Thatcher, Continental Army surgeon, later in life. Source: Wikimedia Commons. 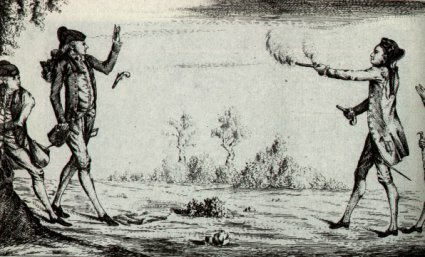 “Points of honor” concerning a woman’s virtue were the rationale behind Simcoe’s and Woodhull’s on-screen duel. Duels between officers and civilians were rare, if not unheard of. However, there are several recorded cases of two officers seriously disagreeing over a woman, for numerous reasons. Evidently, His Britannic Majesty was not a fan of dueling, either. Original copy of the letter from John Moffet challenging Ensign John Lawrence to a duel. Courtesy of Jan Nordhoff, whose husband is a Lawrence descendant. The two met on that frigid January day with their seconds, marked the distance at six yards (as opposed to the 4 yards distance requested by Moffet), and fired simultaneously. Moffet’s ball barely grazed Lawrence near the right breast, not even breaking the skin. Lawrence’s shot however went true, straight into the Ranger’s stomach. Moffet was killed, as he was good enough to tell his second, Lieutenant George Pendred, looking up at him and declaring “My dear fellow I am killed” upon which he immediately died. Moffet was eventually buried at Richmond Church, where he presumably remains today. The burial was delayed several days because of an incursion of 2,700 Continental troops onto Staten Island. This forced Moffet to take one last tour of the island, his corpse taking a sleigh ride from tavern to tavern until the island was secured. The Church of Saint Andrew (Episcopal) on Staten Island, with a view of the graveyard where Ensign John Moffet was buried in 1780. Lawrence was tried for murder but made the defense all such officers and gentlemen in similar circumstances made. Appealing to the court’s sense of honor, Lawrence related how he had been challenged, and had to accept, stating “I considered myself bound by the Laws of honor, to give him the Satisfaction he demanded. My reputation as an Officer and a Gentleman, in short my all was at stake—had I omitted meeting him in the manner he requested, I must ever after been treated as a Rascal and Coward…” The court agreed, acquitting him by reason of self-defense. 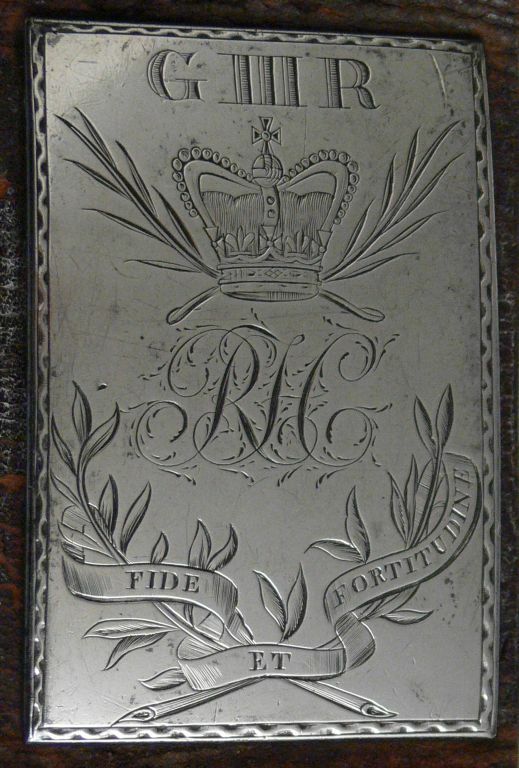 This entry was posted in Guest posts and tagged 18th century duels, 4th dragoons, Abraham Woodhull, benjamin tallmadge, dueling, duels, honor, james thatcher, John Graves Simcoe, King George III, loyalists, queen's rangers, TURN, turn amc.